Description: Contact Crafts Ken Oliver Multi Media products. 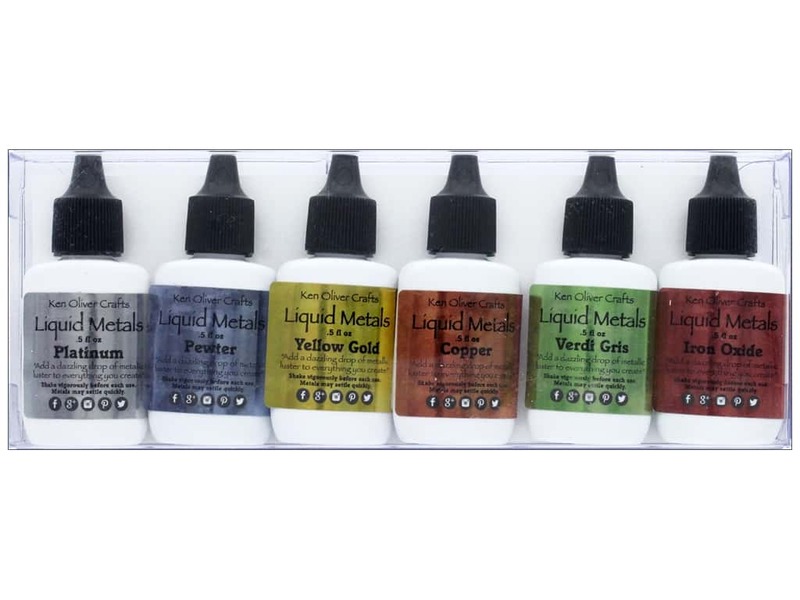 Liquid Metals Heavy Metals 6 pc- Create metallic highlights with Heavy Metals. Mix with a gel medium to create la ustrous glaze. Set includes platinum, pewter, yellow gold, copper, verdi gris, and iron oxide. Each bottle has 0.5 fluid ounces.